Panama is a small country in Central America. Panama is most famous for the Panama Canal which connects the Pacific Ocean and the Caribbean Sea. The canal was actually started by France, but when they abandoned the project it was taken over by the United States, who completed it, and eventually transferred full control of it over to Panama. The .AC.PA domain extension is primarily intended for use by academic institutions. Requirements: Valid proof you are an academic or research institution in Panama. 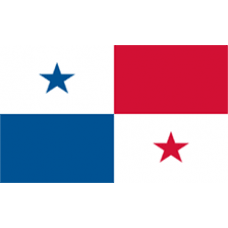 Description: Panama - related websites have an extension of .PA. Expected launch date for General Availability is 2016-12-31. Panama is the mo.. Description: Panama is a small country in Central America. Panama is most famous for the Panama Canal which connects the Pacific Ocean and the Ca.. Description: Panama is a small country in Central America. Panama is most famous for the Panama Canal which connects the Pacific Ocean and the ..